"XAMPP an easy to use and manage PHP development environment." 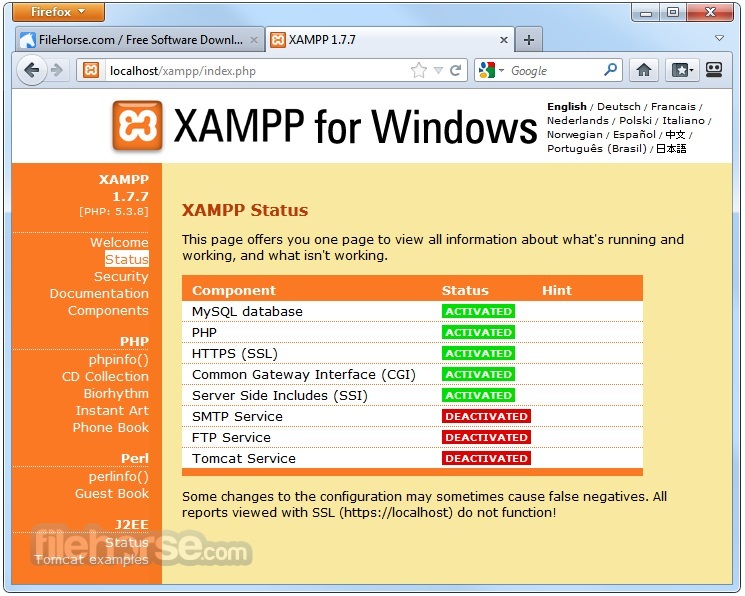 XAMPP an easy to use and manage PHP development environment. It is quite popular among self-managed website owners and is completely free. 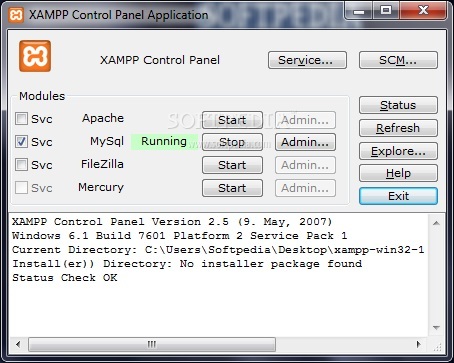 XAMPP is a full kit, containing MySQL, PHP, and Perl. It is an open source package that has been set up to be very easy to install and manage. 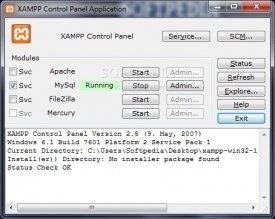 XAMPP has distributions for Windows, Linux, and Mac OS X all with easy installation and configuration. Since it is a kit, most of the technical things have been set up for you and with a simple tutorial you will be ready to go and develop your website in no time at all. With two versions available, a new less stable version and a much more stable completely tested version, XAMPP is ready for those who want to have the newest software or just want something that will be reliable and work. Since it is the most popular PHP development kit, it also hae a well established community that has been around for over ten years supporting and helping the development of XAMPP. Whether you are new to the development kit or have been using it for quite some time, XAMPP encourages it's users to join the community and involved to help take part in the development of the software and report bugs to be addressed in future releases. If you are new to Apache software and would like to learn a bit more how to use it with a simple to use starter development kit, XAMPP would definitely be something to consider, even for experts.